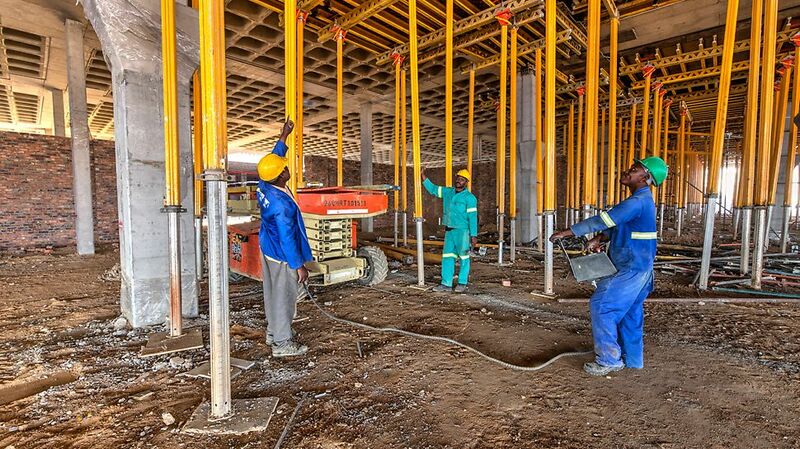 Construction of the R500-million Alex Mall, situated on the N3 in Alexandra, Johannesburg, commenced in October 2015. 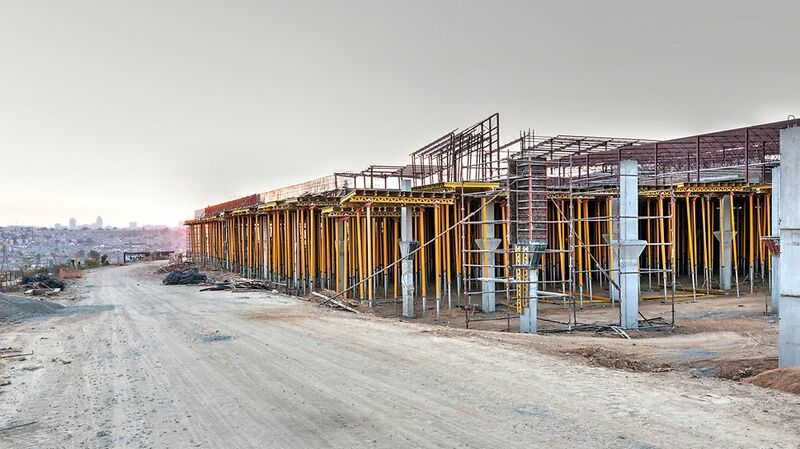 The ﬁrst phase of the mall will provide over 30,000 m2 of retail space for the surrounding community. The mall officially opened for shoppers on 30 March 2017. The mall has ﬁve entrances, extensive taxi rank facilities, ample parking, two ﬂood-lit mini-soccer courts surrounding a 250-seater feature restaurant and a children’s play area. 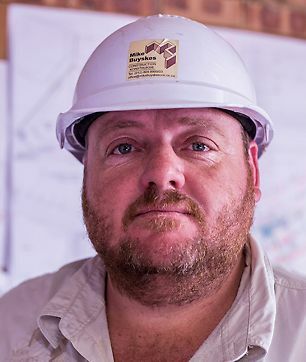 There are 1,100 m2 of retaining walls and 16,000 m2 of slab coffers and ﬂat slabs. 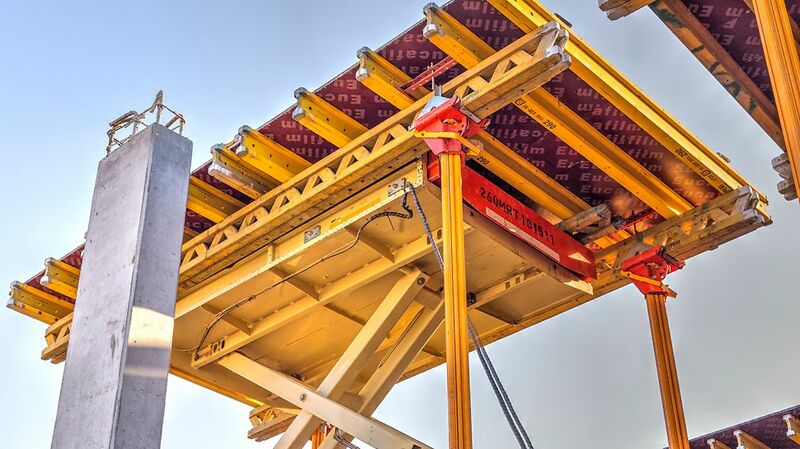 The Table Formwork helped the client achieve signiﬁcant savings in time and labour. 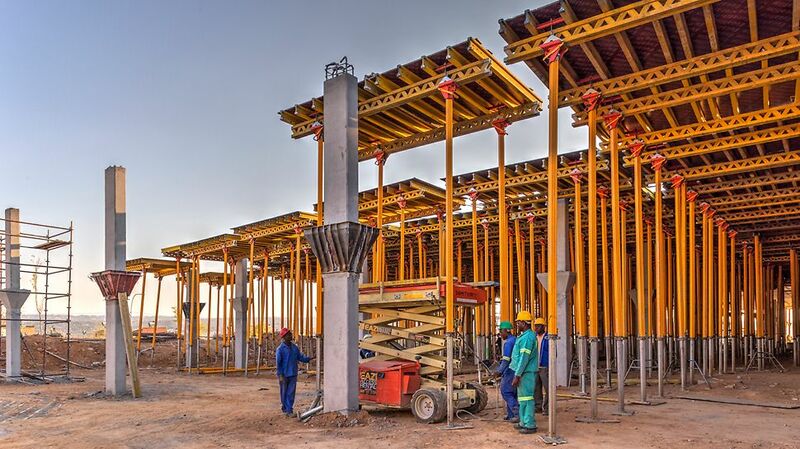 The 15 m2 table formwork was especially effective when decking the pour sizes of approximately 1 200 m2 at 6 m propping heights. Our experience with PERI has been problem-free! For the retaining walls, PERI provided DOMINO panel formwork. 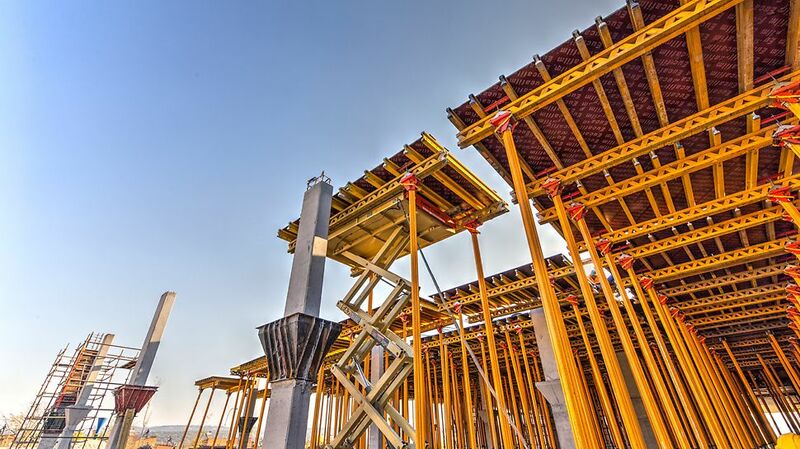 The slab coffers and ﬂat slabs used MULTIFLEX girder slab formwork and PERI table forms.